Take your building’s security to the next level, with ROS Electric’s integrated approach to facility management and safety! Today’s facilities, whether industrial, commercial, residential, or mixed-use, are a complex “ecosystem” of resources that need to work together in order to protect both the owner’s property and its occupants. Contact us for a Free Consultation. We can evaluate your current systems and provide Free consulting services for any changes or improvements you may want or require. ROS Electric’s trained staff of installation experts have the experience to help design and implement a myriad of security systems that will help you protect and secure your facilities and make them a better & safer place to live, work, and play! Installation: Seamless installations executed by trained Nicet Certified professionals ensuring code compliance and proper system performance. Testing and Inspection: Testing, inspection, and compliance assurance for all life safety systems to ensure that your system meets national and local code. Maintenance, Service, Troubleshooting and Help WIth Violations: Assistance with diagnostics, problem-solving, and troubleshooting in regards to any issues encountered with your system’s functionality. If you’ve received a violation, we can help you remedy the issue. If you’re going to having an inspection, we can come in prior to make sure you’re up to code. System Layout Consultations: From consultation, to design, to completion, we’re with you every step of the way. 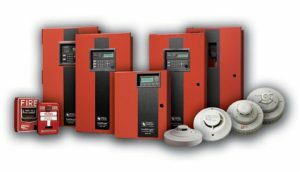 Features of our fire alarm systems include Fire Alarm Control Panels, pull stations, smoke detectors, heat detectors, carbon monoxide detectors, notification devices, door holders and more. At ROS Electric we understand everyone has different security concerns for their business or home. Contact us for a free consultation and let us help design a system to address all your security needs. Features of our alarm systems include motion sensors, access control, duress stations, integration with video surveillance, integration with fire Smart Home and Business Technology and more. 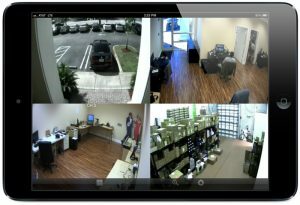 Video surveillance cameras, aka CCTV, are the easiest way to help secure a building’s facilities while helping to reduce overall building operating expenses. Their proliferation in the market place as well as developments in newer technologies have greatly reduced their cost, making a video surveillance cameras system a must have for any facility or residence that is serious about its security. 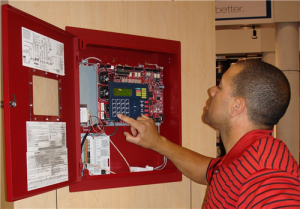 A properly installed and maintained fire alarm system is always looking out for you, even when you’re not, 24/7! 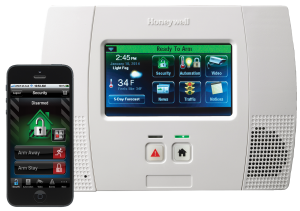 Connected to a UL Listed Command Center you will be notified of events that occur at your facility at all hours of the day or night. The experienced staff at ROS Electric have the expertise necessary to balance both cost & design while implementing a system that is both functional and code compliant. The ability to control the flow of personal in and out, as well as within your facility, is paramount to the safe and secure operation of your building. An access control system gives you the ability to seamlessly assign “access” rights to tenants, employees, visitors and contractors alike. Features of our access control systems include Enterprise, Local and Managed Systems, custom reporting and real time tracking, hand, fingerprint and retina scanners, asset tracking technology, and door locking controls for individual doors, groups of doors or facility wide. 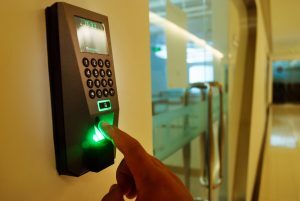 Let the experienced professionals at ROS Electric help design and install an access control system to give you the flexibility and control you need to secure your facility as well as your assets within it.